Start with the ABC's, Always Buy Colorado. Then ask yourself, "Why pay more for products that are 99% water? 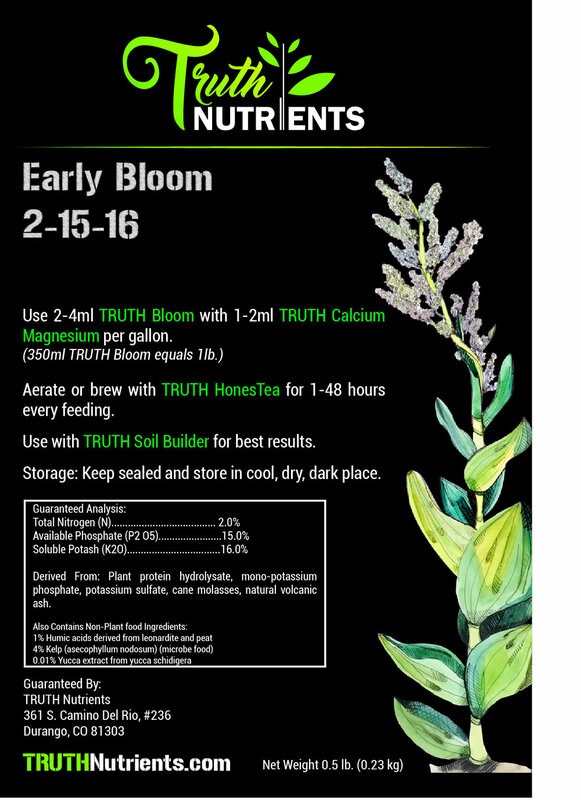 At TRUTH, our lives are dedicated to plants and soil health - not just in our gardens but across the planet. We have created what we believe to be the best recipes to ensure success and a healthy environment for your flowering plants. We have sourced and blended the highest quality ingredients, combined with years of research, to create each of our products. These products have been developed, tested, and proven by industrial and hobbyist gardeners alike. Whether you're growing tomatoes, cucumbers, peppers, roses, or herbs; our special blends will produce the results you have been waiting for! Long term shelf-life, No fillers, NO additives, NO H2O?!?! Just concentrated powder nutrients designed to give your plants everything they need, SHIPPED DIRECTLY TO YOU! Get better results, simpler mixing, spend less time and money... That's the TRUTH!